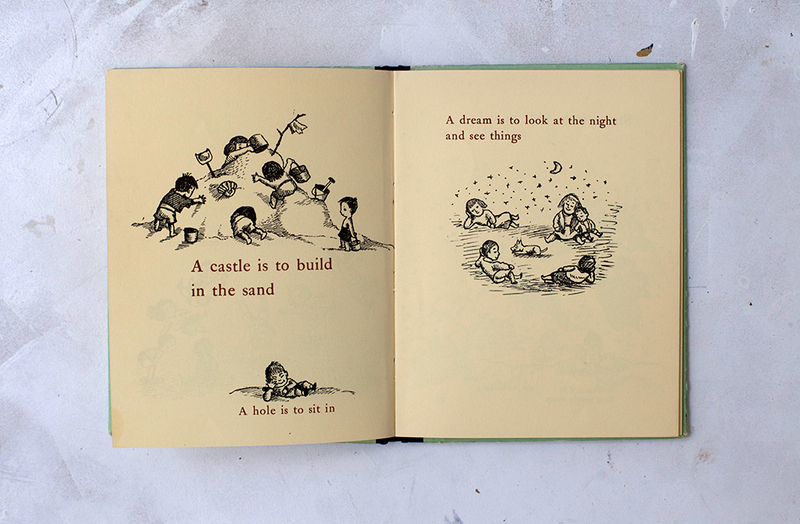 Like most people, my first introduction to Maurice Sendak was through the picture book Where The Wild Things Are. I was immediately smitten from storyline to the exquisite use of textures. 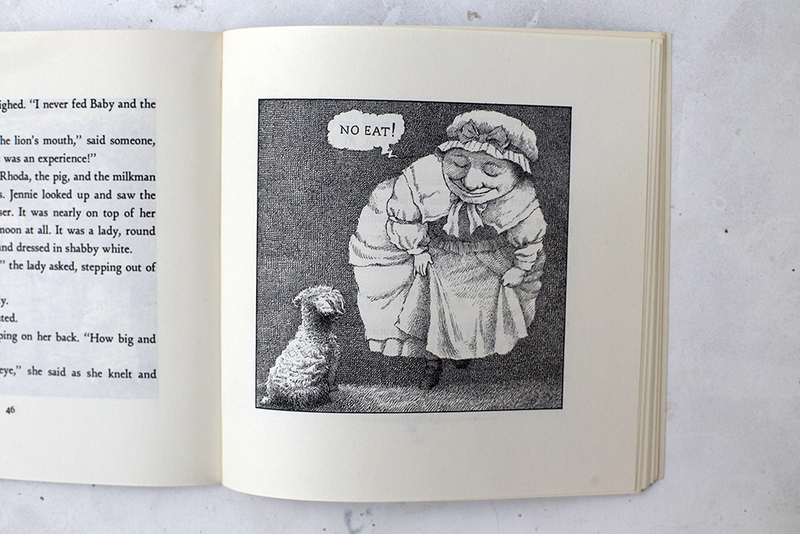 It felt as if Sendak had been the inventor of crosshatching. 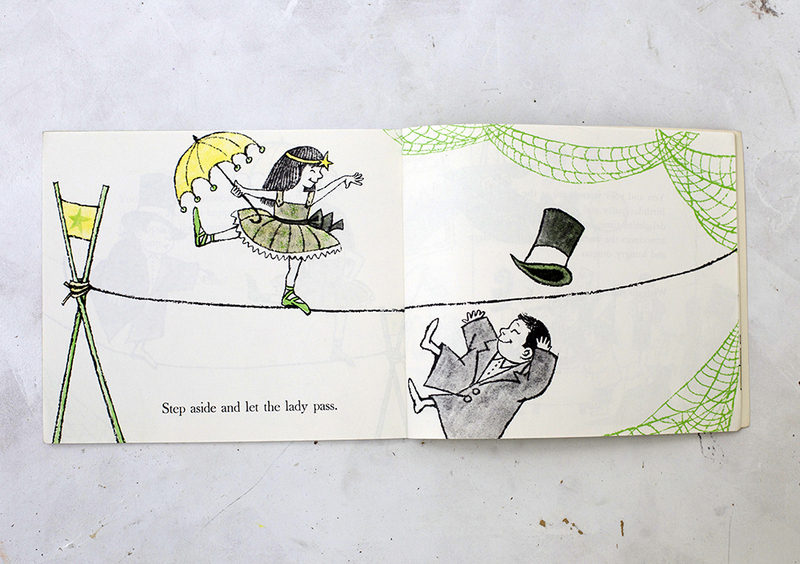 However when I stumbled across some of Sendak’s other works I was unsure about my feelings for his character design. There seemed to be something mature while simultaneously innocent about his work. 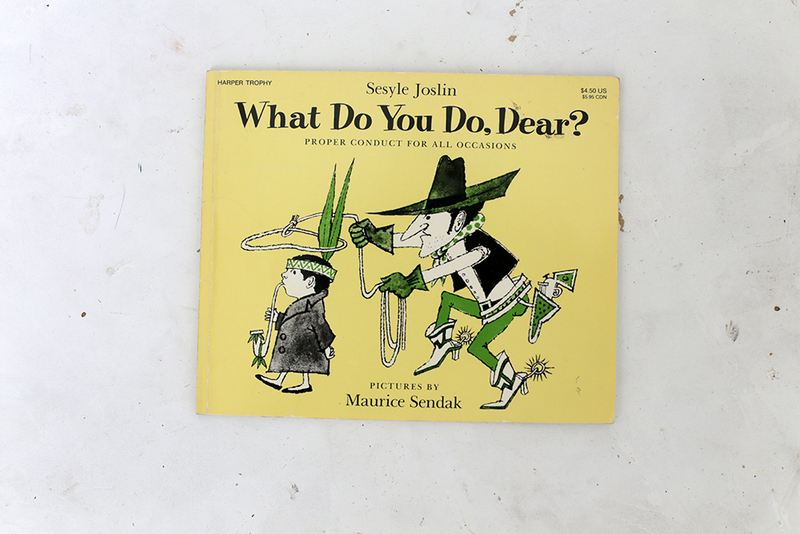 Later I would find a copy of What Do You Do, Dear? and my mind would be settled. I am a fan. Thus my small collection began. 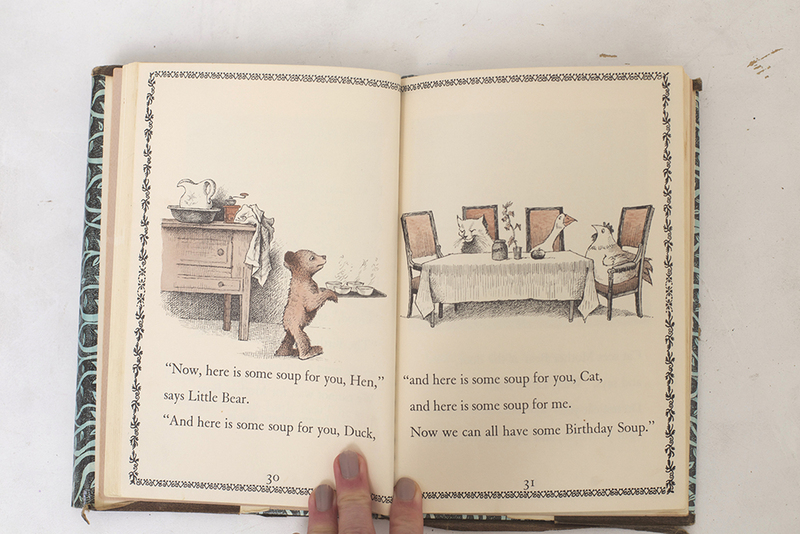 Little Bear, there is just nothing more soothing than crawling in bed with my boys and reading about Little Bear’s adventures. Wonderfully tied together but leaving so much room for exploring the happenings of the adventure in few words. The best part is the open endings. 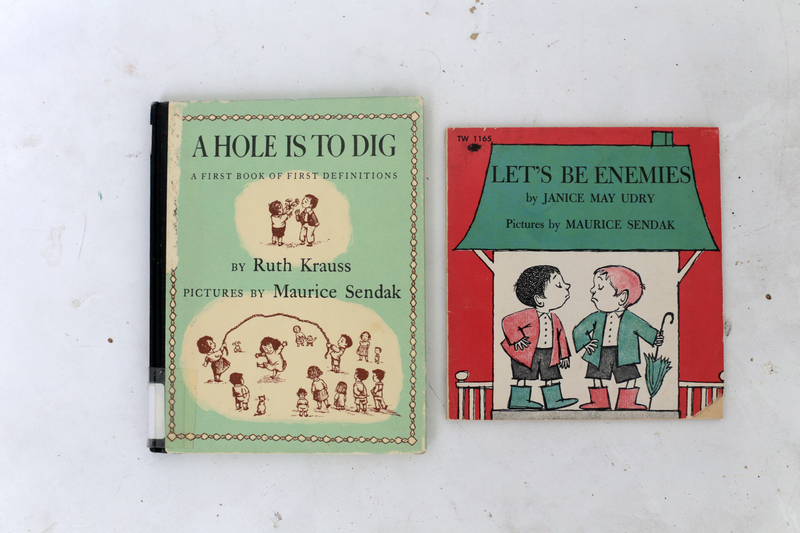 I’m torn between favoring Let’s Be Enemies which is the essence of my boys, and my copy of A Hole Is To Dig, because, well, Ruth Krauss. 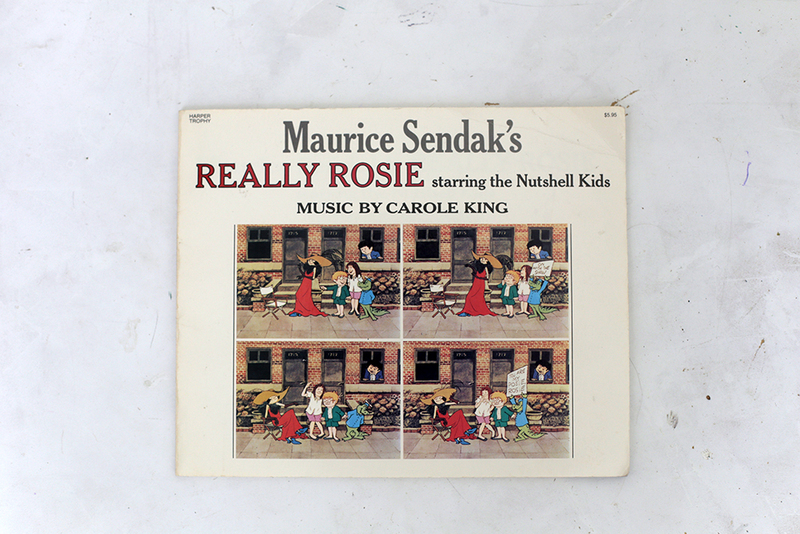 My latest finding is Really Rosie starring the Nutshell Kids. 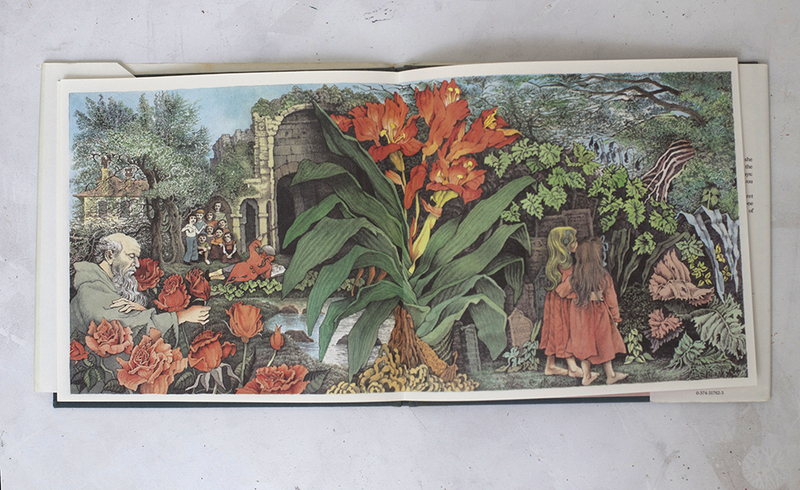 Did you know that Sendak was a set designer? On my trip down a Sendak rabbit hole, I also found that he worked for three years at F.A.O. Schwarz dressing their windows. I haven’t mentioned the genius work that went behind his layout and design but as far as picture book artists go, he one worth looking into. If you are looking for a glimpse at his interacting in publishing I suggest reading Dear Guinuis, Letters Of Ursula Nordstrom. 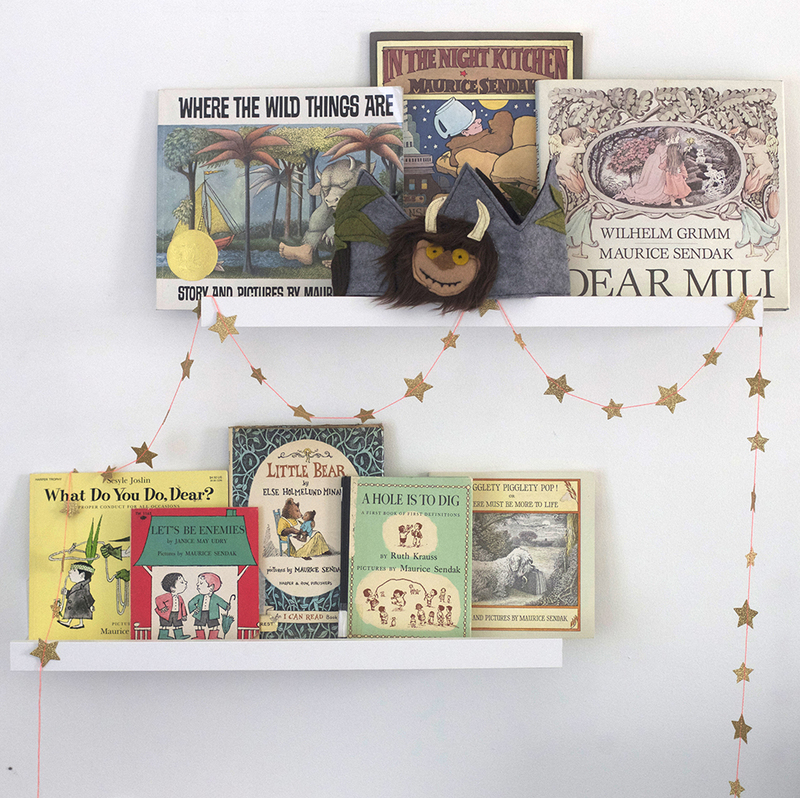 A connection came to mind, of another modern-day author/illustrator that worked on visual development and drawings for sets and props with a taste for the darker side of children picture books as well. Can you name that artist?